Summer mazes for kids can provide hours of entertainment and fun for your children all summer long. When you think of mazes, printable sheets that allow kids to work their way through winding passages with a pen, pencil, or crayon come to mind. If you like to draw, then you can create your own mazes by simply sketching them out, adding some color, and copying them as needed. 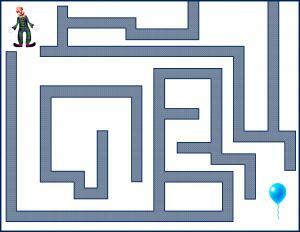 If you need a little help, however, then check out the Maze Generator. This site allows you to custom design a maze by choosing its measurements and level of difficulty. You'll find several designs to choose from as well, such as Aztec sun, bike, dog, house, etc., making this the perfect place to print out summer mazes for kids. While printable mazes are certainly enjoyable, and kids typically love the challenge of solving one, you do have another option that is much more elaborate but also loads of fun. How about building a maze outside? 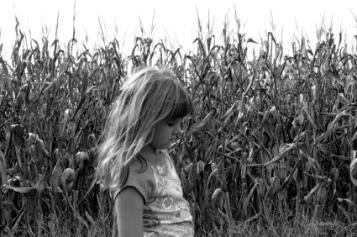 If you have access to a corn field or you want to plant corn to create a maze on some unused land, you can create an outdoor maze that kids will love! What's next? Decide on the size of your maze. Most people build a maze out of a square or rectangular area of land. The size of your space will determine how many passages you can add to your maze. Once the corn has grown to five or six foot tall, cut your passages using a tractor or large riding lawn mower. Be sure you add passages that are dead ends, too. You may want to diagram your maze on paper before you begin building it. If your maze is very large, you may want to create maps that players can use to help them find their way. Be sure you have a designated entrance and exit. Gather boxes together, opening the ends of some of the boxes. Tape boxes together to form "tunnels." Create dead ends with boxes that only have one end open. Keep in mind that very small children may become disturbed if they can't find the end of the maze very quickly, but older children will love crawling through several tunnels within the maze. A box maze is also a great option for a school carnival. It's easy to set up, and easy to take down. 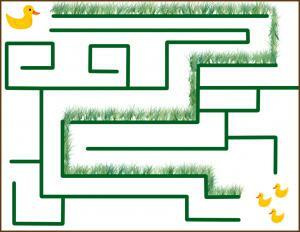 ABC Maze-From birds, bugs, flowers, and kites, you can find an abundance of fun mazes for your children to enjoy. Kindergarten and elementary school aged children will enjoy the maze on this site. DLTK-A variety of summer mazes for kids can be printed from this site. You are also given the option of printing in color or black and white. Choose from summer themes such as the beach sandcastle maze, bee and flowers maze, boy and watermelon maze, girl and ice cream maze, and more. Print Activities-This wonderful site offers letter-shaped mazes, holiday and special occasion mazes, fairytale mazes, sports mazes, animal-shaped mazes, and of course seasonal mazes, including summertime. Choose from large, medium, and small mazes as well. Mazes for kids, whether printed or built, can provide hours of fun for children of all ages. We'd love to hear your maze ideas! Please share them on the comments section below.